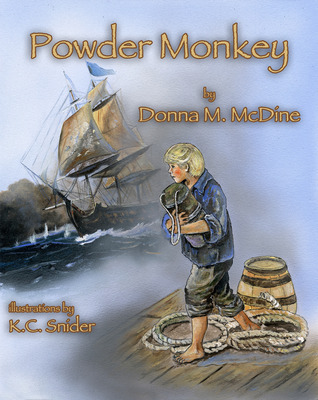 Powder Monkey by Donna M. McDine is a heartrending, powerful story of survival and perseverance. Tommy is taken by the press gang and forced into servitude for the Royal Navy. It is a tough life for a farm boy, but he learns to survive by being willing to do the jobs many of the other boys do not like to do. This is a book for middle grade readers that shares a part of British history that is about as attractive as the years the United States was divided by slavery. It’s not a light story for youngsters to enjoy. Instead, it’s a story to teach children about the difficulties in our past and what they can learn from them. 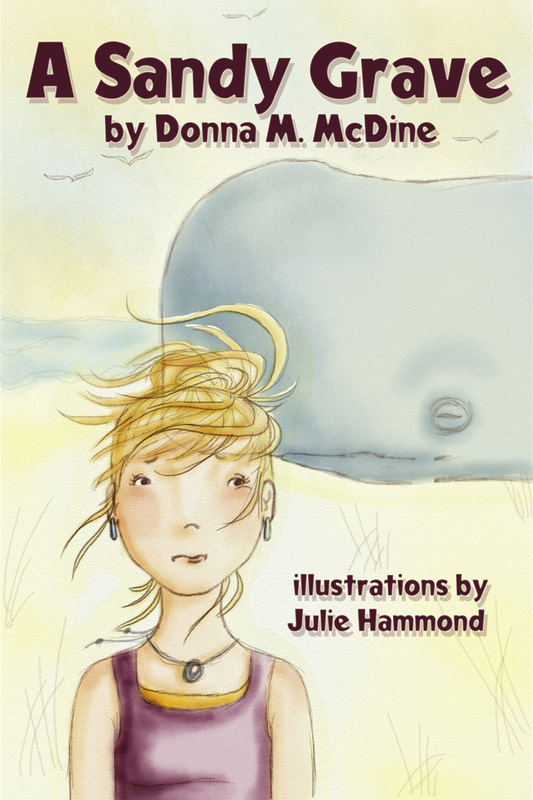 Tommy’s story is brought to life by McDine’s captivating story and the stunning illustrations of K.C. Snider–one of my favorite artists. The emotions Snider captures in this book are so realistic you can’t help but be touched by them; especially the two at the end of the book. This author and artist should collaborate often. 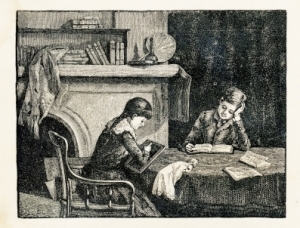 Powder Monkey would make a great addition to any school or home library. The Golden Pathway by Donna McDine is Now Available! Raised in a hostile environment where abuse occurs daily, David attempts to break the mold and befriends the slave, Jenkins, owned by his Pa. Fighting against extraordinary times and beliefs, David leads Jenkins to freedom with no regard for his own safety and possible consequences dealt out by his Pa. He clamped his hands over his ears, but it didn’t block the high-pitched screams from the barn. He knew they would stop. They always did. Yet, the silence scared David even more, knowing Pa would seek a new victim. Thud. Thud. Pa’s heavy footsteps echoed on the porch. Clank. The buckle from Pa’s belt hit the floor. Buzz saw. Pa’s loud snores shook the windowpane. David grabbed his boots and with shaky hands slid them on. His small size made it easy to hoist himself out the bedroom window and shimmy down the trellis. David did his best not to leave any footprints in Ma’s tomato garden. He made sure each night to leave the straw broom on the front porch leaning against the railing by the garden. David reached over the railing for the broom. He carefully brushed the dirt to hide his footprints, all the while backing out of the garden. Satisfied that he’d covered his tracks, David shook the dirt off the broom and placed it back on the porch. If Pa found out what he was doing, he’d skin his hide for sure. David loved Pa, but he had to make this stop. 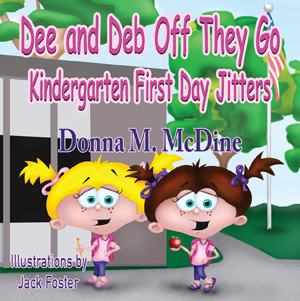 Donna McDine is an award-winning children’s author, Honorable Mention in the 77th Annual Writer’s Digest Writing Competition and two Honorable Mentions in the 78th Annual Writer’s Digest Writing Competition. 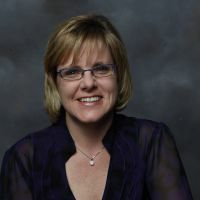 Donna’s stories and features have been published in many print and online publications, and her first book, The Golden Pathway, will be published through Guardian Angel Publishing. Ms. McDine is a member of the SCBWI, Musing Our Children, and The National Writing for Children Center. 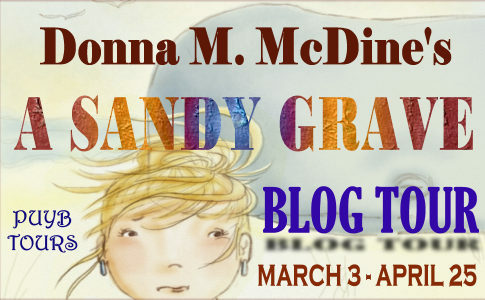 Learn more about Donna at www.donnamcdine.com if you sign the guestbook, you’ll receive a FREE e-Book Write What Inspires You: Author Interviews, and http://www.donna-mcdine.blogspot.com and http://www.thegoldenpathway.blogspot.com. 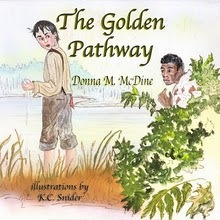 Learn more about Donna McDine and The Golden Pathway by checking out THE GOLDEN PATHWAY VIRTUAL BOOK TOUR SEPT/OCT ’10! Visit www.pumpupyourbook.com during September and October to see where Donna stops next. You can purchase The Golden Pathway at Amazon.com and at the publisher’s website.